This blog, Rambler’s Pie: A Slice of Loyola, is something I value very much. When I was given this position as ‘blogger’ for the Undergraduate Admissions Office freshman year, little did I know how much I benefited from it. 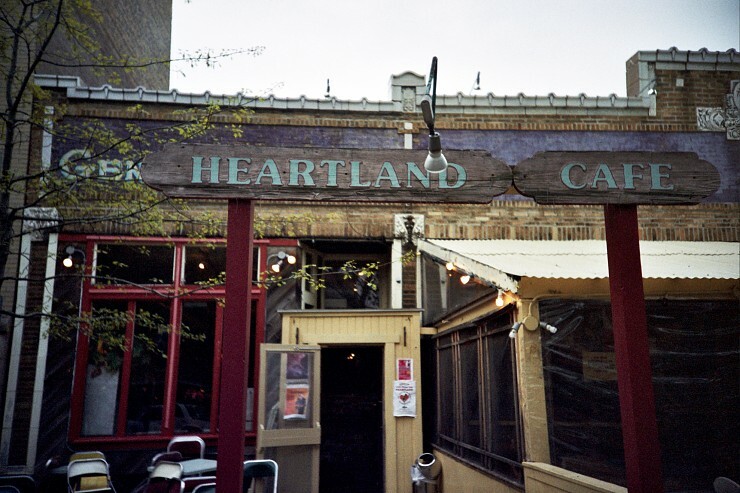 This blog gave me a second voice that was stronger, more descriptive, and creative. It allowed me to develop a lot of professional skills such as good communication, being organized and responsible, and having respect for my superiors and co-workers. Personally, I also gained more knowledge of Loyola, better writing skills, and developed a passion for helping prospective students steer towards a college education. 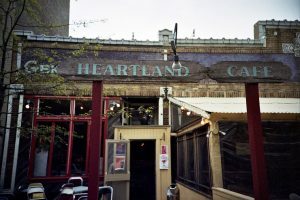 Now as a senior just about ready to graduate, this blog must come to an end and this blog will be the last and final chapter. I am sad to see my 4-years worth of hard work come to an end but it is something that must be done. When one door closes, another door will open. The Undergraduate Admissions office has been my home for the last 4 years and I had the honor of meeting so many outgoing people working in the department. When I was a freshman, I was nervous because I did not know anyone, but these people made me feel comfortable and welcomed right from the very beginning. Throughout the years, I opened my shell more and stepped out of my comfort zone. 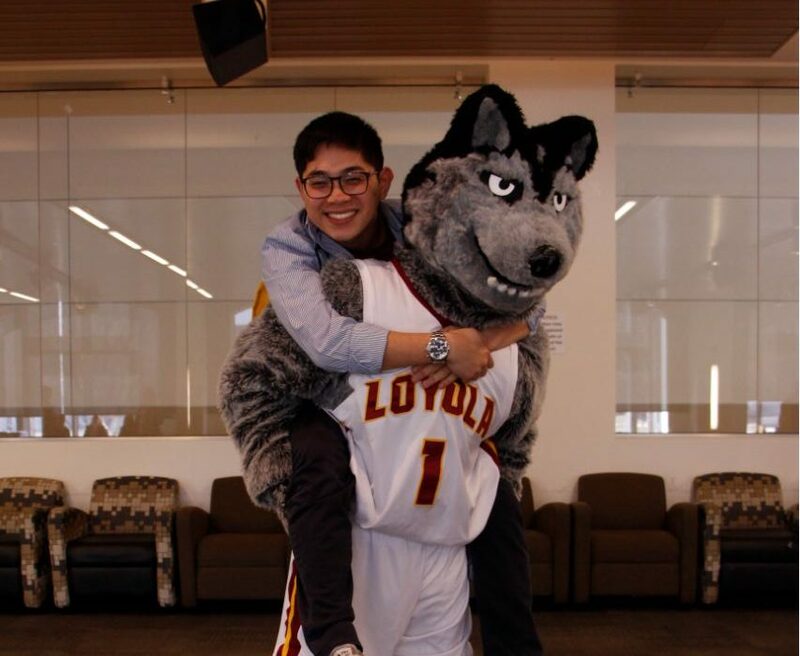 Because of that, my Loyola experience blossomed. My creativity through social media grew as well as my motivation to help first generation prospective students. I remember one instance when a family member commented on one of my blog posts and asked to meet in person. Within the next week, I got to meet her and her niece (the prospective student) in person at the office and borrowed my supervisor’s office to speak in a more appointment-based setting. From that moment, I knew that I WAS influential and that I DID make a difference through my blog posts. Another time, I was helping another supervisor with the Chicago Public School event downtown and sat with students to chat about anything. 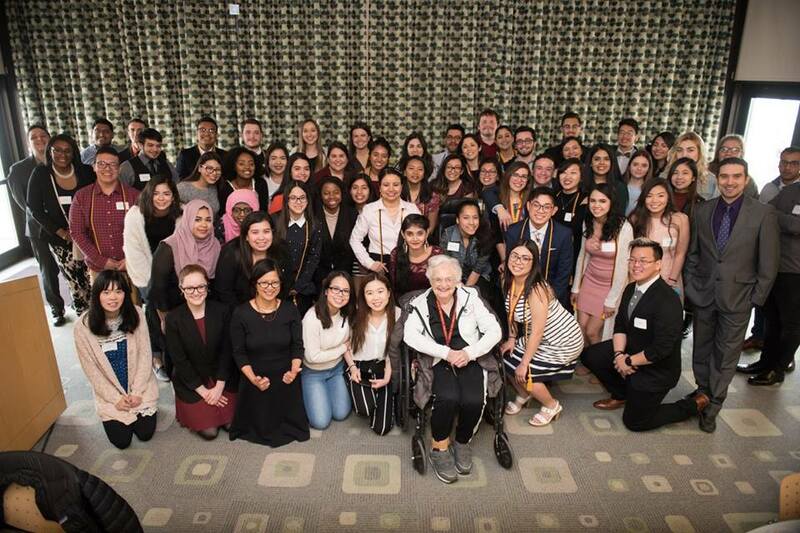 I brought many of my experiences including being a part of the Achieving College Excellence (ACE) program, which serves students of minor, first-generation, low-income, and/or disability status. 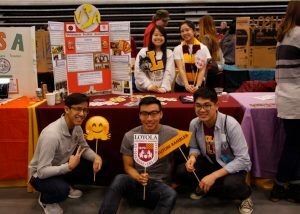 A year after, I was extremely proud to see a couple of those CPS students not only go to Loyola, but be a part of ACE. It is obvious we are now good friends! Later on, I joined the student worker family at the Undergraduate Admissions Office and things got completely better. Not only did I open myself to others more, but I enjoyed working the front desk and meeting the families. I had experiences I could share with them, I could offer advice about admissions, and most importantly, I could relate to their struggles in many ways (I was in their shoes only 4 years ago!). 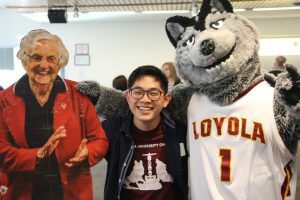 Therefore Open House, Loyola Weekend, and Weekend of Excellence are my most favorite Loyola events because I get to showcase the university that I honestly appreciate and love. 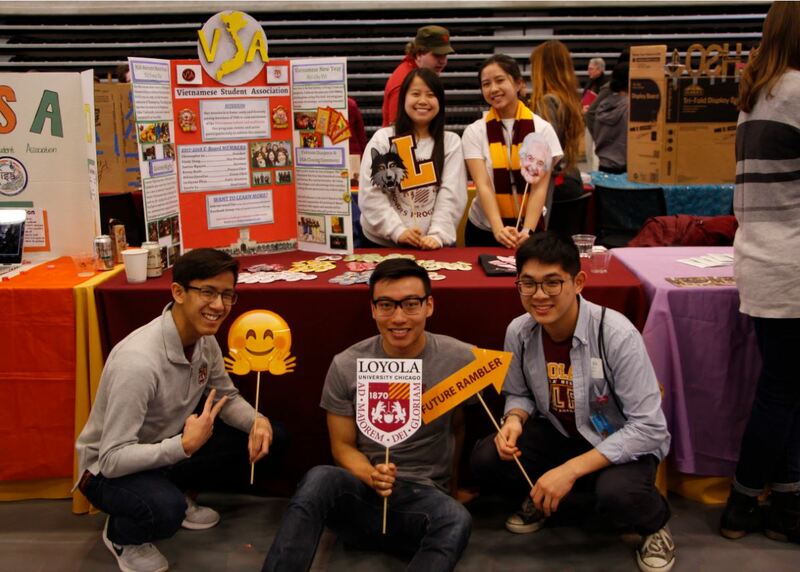 Open House and Loyola Weekend are awesome because we get to showcase all the best there is to Loyola – labs, dorms, curriculum, and more. 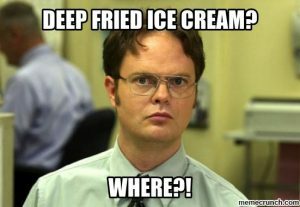 As a student worker, I get to help plan these events and I always get excited! For the Weekend of Excellence, things are a little different because it is directed to CURRENT Loyola students, showcasing their talents and abilities. This year, I had the honor and privilege of getting the Motivational Member Award and my organization, Vietnamese Student Association, won ‘Best Cultural/Ethnic Organization’ and better yet, ‘Organization of the Year.’ In addition, I attended the ACE banquet and did a speech as well as got my graduation cords. To say in the least, I have benefited from going to Loyola. It was an amazing experience filled with so many memories with good people including Sister Jean, Natasha Bhamla, and Dr. Rodriguez. I exhausted all my resources and have gained so much experience. 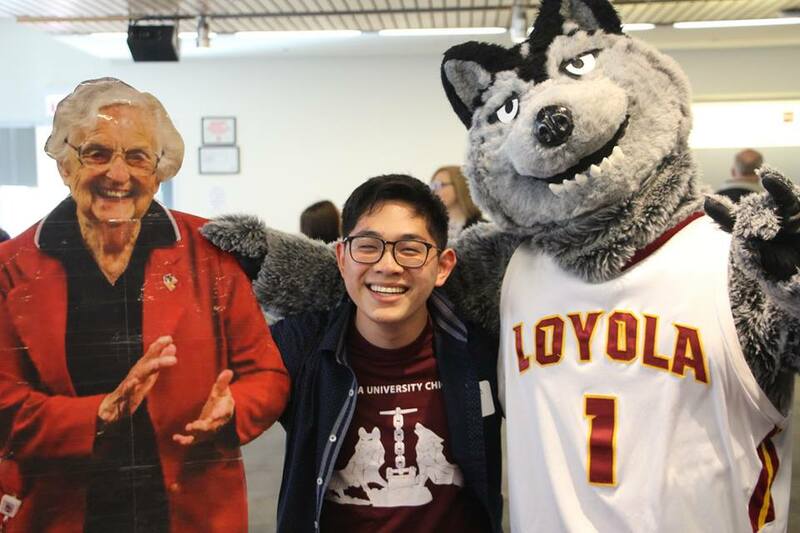 I have grown into a young adult and I am proud to say that Loyola helped me shape into the person I am today. This is a bittersweet moment for me as I close this chapter of my life. Specifically, I am now closing my work with the social media team. Very soon, I will close other doors as graduation comes closer however I am quite hopeful for the future and the new experiences I will have. 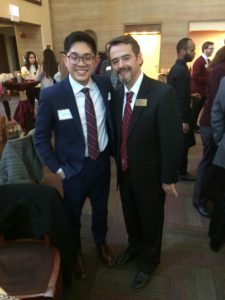 Thank you for reading my blogs and thank you for traveling with me on my unique Loyola experience. It has been a pleasure serving Loyola and promoting a school that I dearly love. 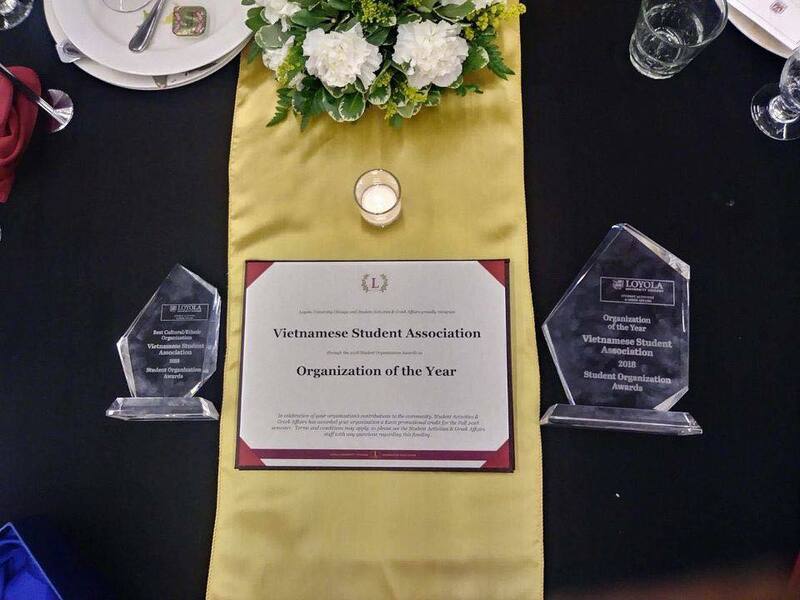 Earlier this week, my organization (Vietnamese Student Association) had its last event of the academic year. It was a great event to celebrate the Vietnamese Diaspora and the new generation that came out of it. For instance, my mother was a Vietnam war refugee and came to the US for a better life; the new generation would be people like me who are born in the US. 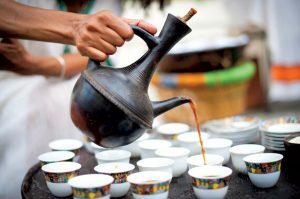 This generation tends to be more Westernized and less cultured on their roots in terms of language, traditions, and more. As a new-generation person myself, I know it is challenging. The culture clash between Western and Eastern was sometimes overwhelming when I was young, especially language. At home, everyone would speak Vietnamese and when I got to school everyone spoke English. There were words and terms I knew in Vietnamese that I had trouble translating into English and vice versa. Not only that, but the culture was extremely different. I had learned a lot of respect and manners at home that were more/less relaxed at school. As time progressed, I understood my background more and accepted the two dynamics I was living in. As a first-generation college student, I realized I was on my own. 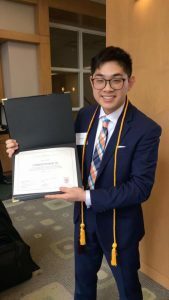 I needed to learn things for myself because my family could not help (lack of knowledge and experience) with college applications and so much more. Through trial-and-error, I became more independent and took on as many opportunities as I could. I designed the American Medical Student Association t-shirt and participated in its organization, I became an Achieving College Excellence scholar, and finally became a student organization president. I realize that I have to work so many times harder than the average person, to be successful. Given my background (and other personal reasons), I have to do my best. In order to be successful, you HAVE to take on any opportunities that come your way and build connections. Exhaust all your resources and let things happen. Even if you fail, you gain experience and learn from your lesson. And remember, its better to have experience than not have any experience at all. At the beginning of my term in August, I wanted to bring a well-known speaker that had ties to Vietnam. 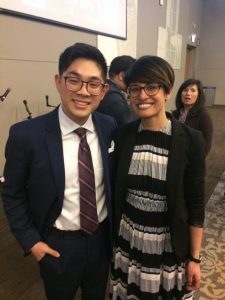 I wanted to find someone that exemplified new-generation success, had experience doing VSA events, had a manageable quote, and was someone even non-Asians might even know of (given Loyola’s demographic). With all factors considered, Richie Le was the best candidate. With the Fall of Saigon being on April 30, it was appropriate to save this event to the month of April and end the VSA term on a good note. Richie is an amazing person. He has a successful YouTube channel with over 800,000 subscribers and over 130,000,000 video views of sketches, raps, and vlogs. Not only that, but he now runs his own clothing brand out of Seattle, Washington. He has always had a passion for sneakers, fashion, and Asian American lifestyle & culture. During our event, he shared his story and it was quite interesting to see how he was able to overcome the challenges. 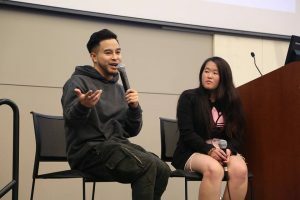 With the help of his producer, Gabe Tran, we learned to take advantage of any opportunities that comes our way and to never give up. To say in the least, I know that the students’ self-esteem did go up– there was so much positive energy through smiles, laughs, and more. Applying this to my life, I tend to take on any challenge that comes my way. Though I am an introvert, I make an effort to improve, gain experiences, and connect with others. 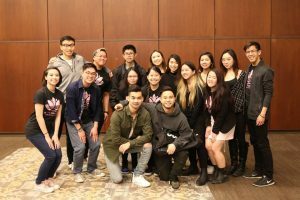 As Richie is able to connect with the youth through Youtube, I am able to connect the Loyola community through my organization’s events. I’ll continue to strive for success because ultimately, anything can be at my fingertips if I really try. What a weekend! I was so excited to see everyone there and make this event a success. 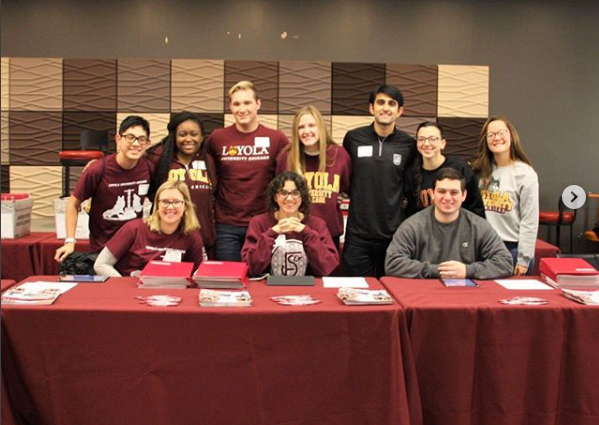 From my end of the spectrum, I know that all the student workers and admission counselors have worked hard to bring you a great Loyola experience in all aspects. You got the opportunity to visit all 5 freshman residence halls, see and talk to professors at the department fair, mingle with students and learn about student organizations, visit the actual lab rooms (that are not shown during general tours), and create new memories. As happy as all of this sounds, this Loyola Weekend event is my last one. I still remember my first Loyola Weekend event, where I took care of the luggage room and alphabetize people’s belongings. The year after, I also did the luggage room and ended using barricades out the room because there was no more space. My third year, I helped with check-in and got to speak with so many people, face-to-face. 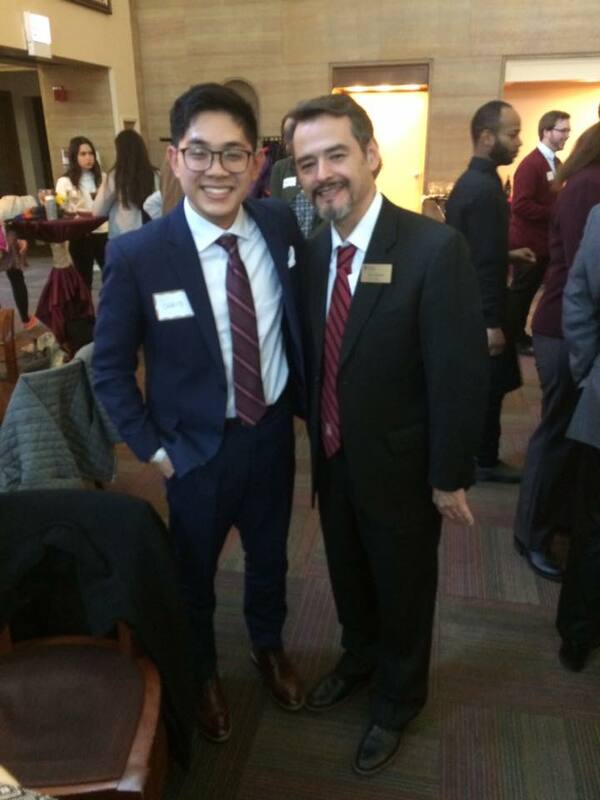 It was exciting to be the first person to welcome prospective students and families to Loyola. This year, I was the photographer. I captured the memories and hopefully, I was able to preserve these moments for a long time. 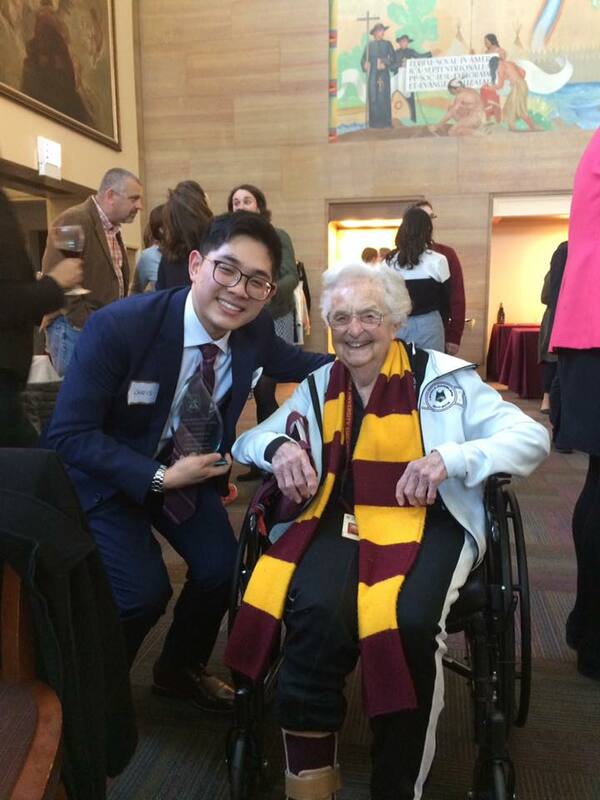 Some people were even lucky to catch a glimpse (and even take a picture) of Sister Jean. She wanted to go into her office to finish up some paperwork, but unfortunately her office is smack-dab in the middle of the atrium/food court. There was no way she could avoid her ‘fans,’ trying to get to the room. Either way, I was able to chat with her the next day (after everything died down) and give her a gift that a family wanted to give her. She asked me how Loyola Weekend event, and I told her that it was a complete success, also due to her and the recent excitement from March Madness. 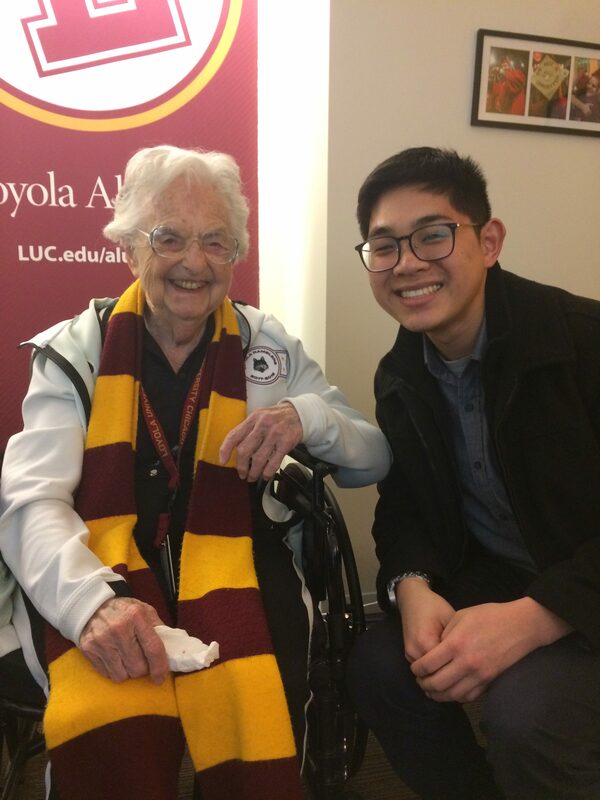 She told me she could only hope that she could do more for Loyola and bring more spirit and liveliness to campus. Isn’t that remarkable? Even at 98, and even in a wheelchair, she has so much willpower to help Loyola thrive and impress prospective students. The very next day, she was at Wrigley Park throwing the first pitch of the season for the Cubs, and still promoting Loyola! Future Ramblers! 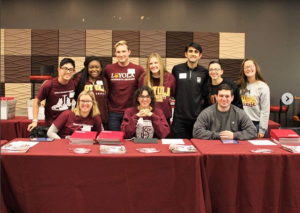 This is YOUR time to come and see what the Loyola Experience is all about. We’ll show you around ALL of campus, including talking to people in all the departments, visiting student organizations, and viewing all the Freshman residence halls. This is quite different than your average tour of Loyola, so please take advantage of the opportunity to see the most of our beautiful and amazing university! Though March Madness is over, our Loyola spirit has not died down yet. Especially in the month of April, Loyola has so many things going on! This weekend, we will have Loyola Weekend, which pertains to incoming freshman and includes Scholars Night at the Field Museum. In the third week, we have Weekend of Excellence, which showcases all the accomplishments and success of the students who go above and beyond. This weekend has over 20 events going on, and I will be attending many of them. Furthermore, the last week of classes is the last week of April and the week after is finals week. The first week of May is finals week and the week after, I graduate. To say in the least, there’s a lot of stuff happening! This is the best opportunity for you to visit campus and see everything to its entirety and begin to meet your future classmates and friends. Still indecisive about which dorm you want to live at? You can walk into the residence halls and see for yourself- Mertz, Campion, De Nobli, San Francisco, and Simpson. Do you want to get a head start on meeting actual students and getting involved with campus clubs and activities? We’ve got that at Gentile Arena. You can meet actual students and professors at the department fair and see all the clubs/organizations at the Student Life Showcase! 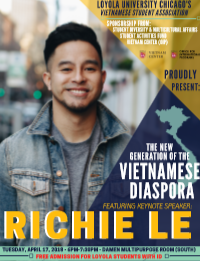 My organization, Vietnamese Student Association, will be there so make sure to stop by and get a free pin to wear! Throughout the day, there will be presentations on all your lingering questions. Financial aid, student life, academics, and all of the above– our Undergraduate Admissions Office counselors will help break things down so you and your parents can easily understand and know how to proceed. After working at this offices for years and observing other university admission events, I can firmly say that we honestly make effort to answer your questions and reassure you. 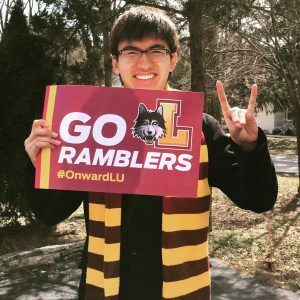 Lastly, after Loyola’s great March Madness experience, we definitely have a boost of school spirit and sense of community. There’s a bigger flame of excitement and with the rest of the things happening at Loyola in the month of April, we are close to setting the world on fire as St. Ignatius said.